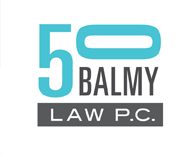 Outside General Counsel | 50 Balmy Law P.C. Manage all of the organization’s legal projects, including selection, management, and evaluation of other specialty counsel. Provide senior management with effective advice on legal aspects of organizational strategies and their implementation. Participate in definition and development of nonprofit corporate policies, procedures and programs. Provide continuing counsel and guidance on legal and governance matters and on legal implications of all matters. Serve as key lawyer/legal advisor on all major business transactions, including international expansion, acquisitions, divestitures, and joint ventures. Judge the merits of threatened or filed claims, and claims that our clients would like to assert; and help the executive(s) define a strategic defense or prosecution and evaluate settlements when warranted. Ensure that the organization conducts its operations in compliance with applicable laws and regulations. Advise on legal aspects of the company’s financing, including insurance issues, and assessing and advising on current and future business structuring. Assist in crisis management and related decision making. Oversee protection and management of intellectual property.